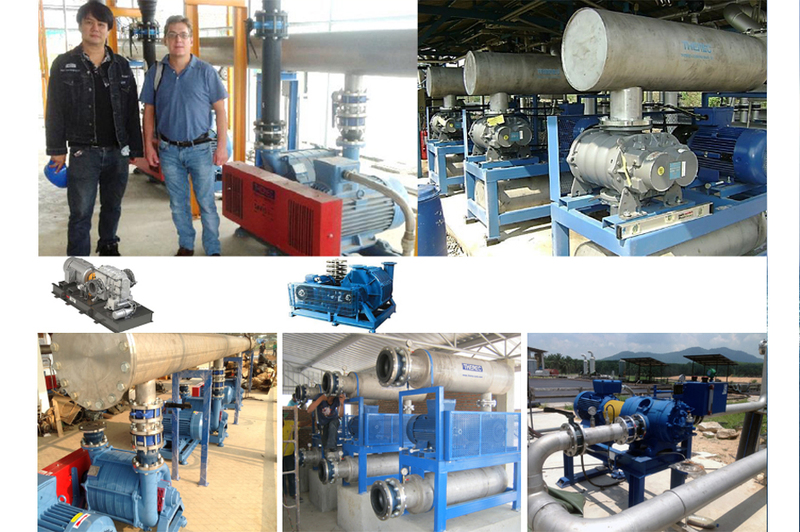 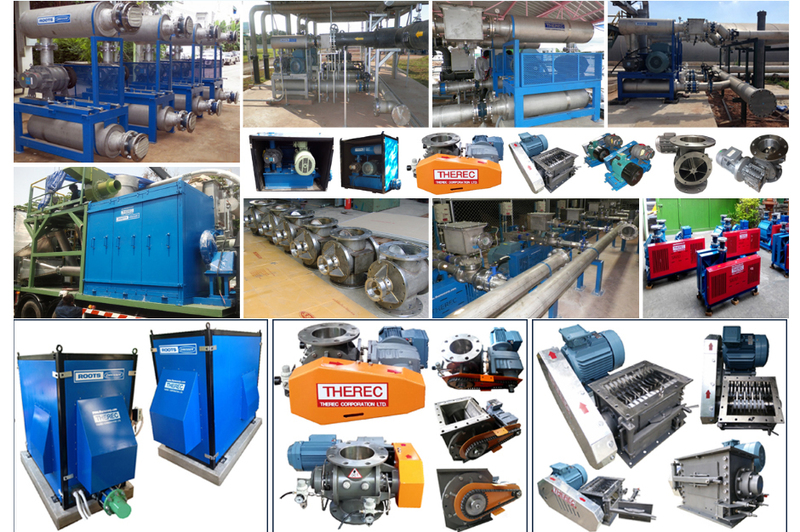 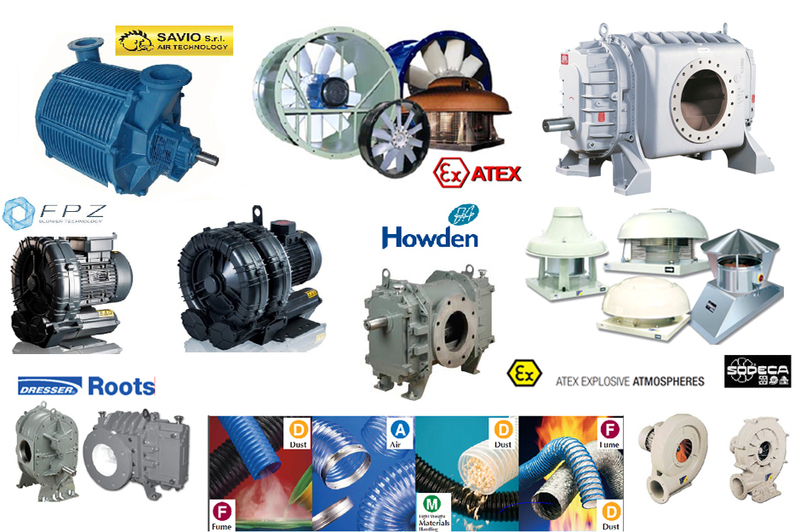 Multi stage centrifugal blower, Rotary vane vacuum pump, Torbotron, Regenerative / Ring blower, Positive displacement / Roots blowers, Centrifugal blower, Flexible hose for air, gas and bulk material transferring. 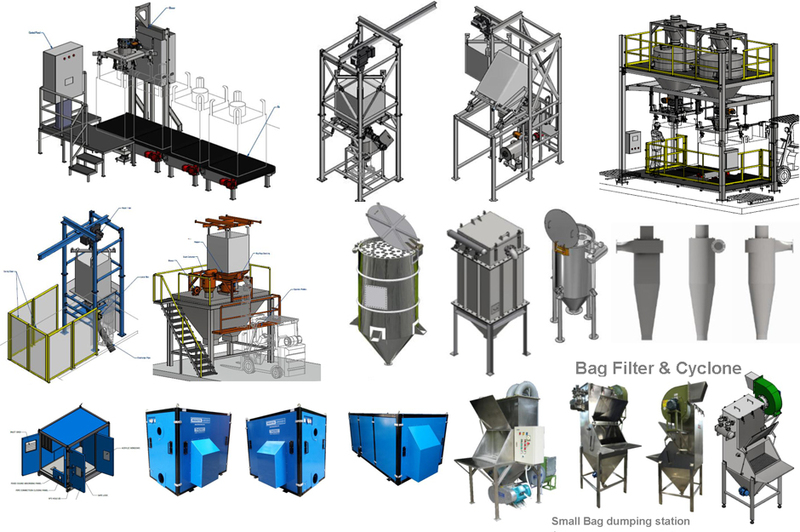 Big bag & Tote bin Unloading Station, Big bag filling & weighting station / High & Low Speed/ Platform Scale & Hopper scale, Bag filter & Cyclone, Small bag dumping station, Acoustic Enclosure & Blower package.
" 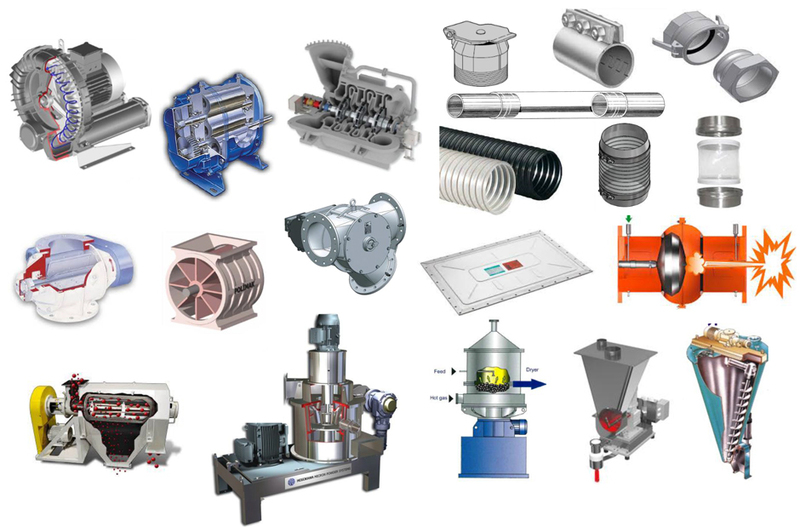 Rotary & Diverter Valve Importer and maker / Bulk Material Handling Equipment manufacturer "
" The High Pressure Blowers Company ", " Bulk Material Handling Components & Machines "
" Premium Quality Service and Repair Work ", " Bulk Material Handling Components & Machines "
We are 20 years old companies with total 76 permanent employees now. 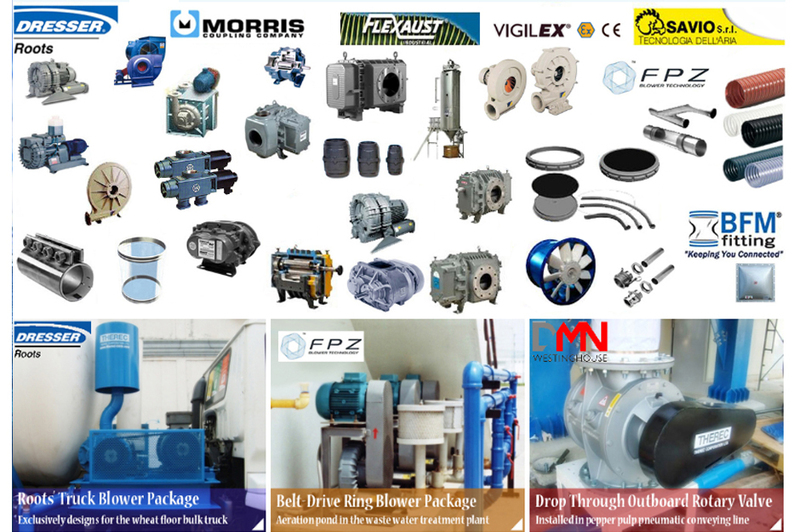 Starting from being the distributing company for the original Roots blower from USA, then the manufacturer of many items we need to combine and finally engineering and design company for the related system we are aiming in.